Can Kennel Cough Be Transferred to Other Species? Kennel cough sounds like your dog has something stuck in his throat. If your dog starts that awful hacking noise indicating kennel cough, you're right to be worried it can spread to other pets. Transmission of kennel cough from dog to unvaccinated dog is probable. The disease is "zoonotic" -- it can transfer to other species, though it's rare. Primarily caused by the organism bordetella bronchiseptica, kennel cough usually occurs within a few days of a dog's or cat's exposure to large numbers of animals, one or more of which carries the virus. That's where it gets the name kennel cough, although it's formally known as tracheobronchitis. Extremely contagious, it's common in shelter animals, but your pet can pick it up at a grooming facility, a dog park or anywhere canines congregate in close quarters. Affected dogs exhibit a honking sort of cough, then might appear to gag. Usually, it passes after a few days, although the animal is still contagious for up to three weeks. The Merck Veterinary Manual states that other causes of tracheobronchitis include parasites or cardiac or lung diseases. 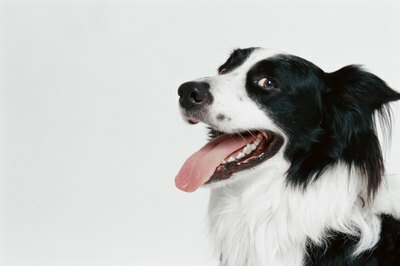 Along with bordetella, other organisms often create secondary infections, including herpesvirus and parainfluenza virus. According to the Koret Shelter Medicine Program website, coughing dogs in a shelter stress out cats, as does constant barking. However, it states that the risk of dog infected with or experiencing kennel cough infecting a cat in a home is very low, especially if your cat is vaccinated against bordetella. In most cases, the website reports, it's not even that common for a coughing dog from the shelter to transmit kennel cough to other dogs in a home. Although adopters are given strict information about quarantining new animals, the KSMP realizes many people don't follow its advice, exposing adopted pets to other household animals too soon. Cats can pick up bordetella from other felines, but it's generally referred to as "cat flu." Symptoms include nasal discharge, sneezing and watery eyes. Ferrets' respiratory systems are extremely sensitive. They can even catch colds from their owners, so if you're sick, have someone else care for your pets. They can catch kennel cough from dogs or cats, according to the website of Indiana-based vet Dr. Sue Whitman. If you don't already keep your ferrets separate from other pets, keep a recently adopted shelter dog or one returning home after time in a kennel away from your ferrets for a three-week quarantine period. If your pets frequently stay at boarding facilities or doggie daycare, or are otherwise often exposed to strange animals, vaccinate them against bordetella. Injectable and intranasal forms of the vaccine are available. While vaccinating against kennel cough doesn't provide complete protection, your pet is likely to experience fewer symptoms and recover more quickly if he does become exposed to bordetella. Koret Shelter Medicine Program: Can Dogs With Bordetella Or Kennel Cough Spread Their Disease To Cats Or People? Pet Informed: Veterinary Advice Online -- Kennel Cough in Dogs. How Long Does Kennel Cough Last in Older Dogs? What Makes a Dog Cough a Lot in the Morning? Can Cats Catch Canine Bordetella? Is Kennel Cough Contagious to Cats? Can My Dog Get Kennel Cough Even If Vaccinated?